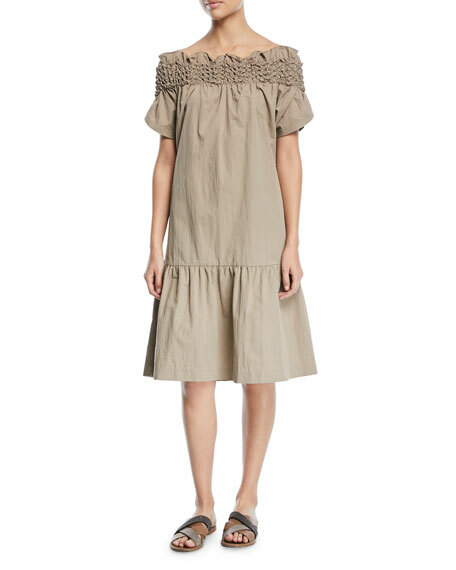 Brunello Cucinelli dress in crinkle-cotton. Off-the-shoulder neckline with smocking detail. For in-store inquiries, use sku #2405059.